Happy National Tartan Day, to you too! This is a wonderful image. I'm adding it to my Tartan Love Pinterest board. 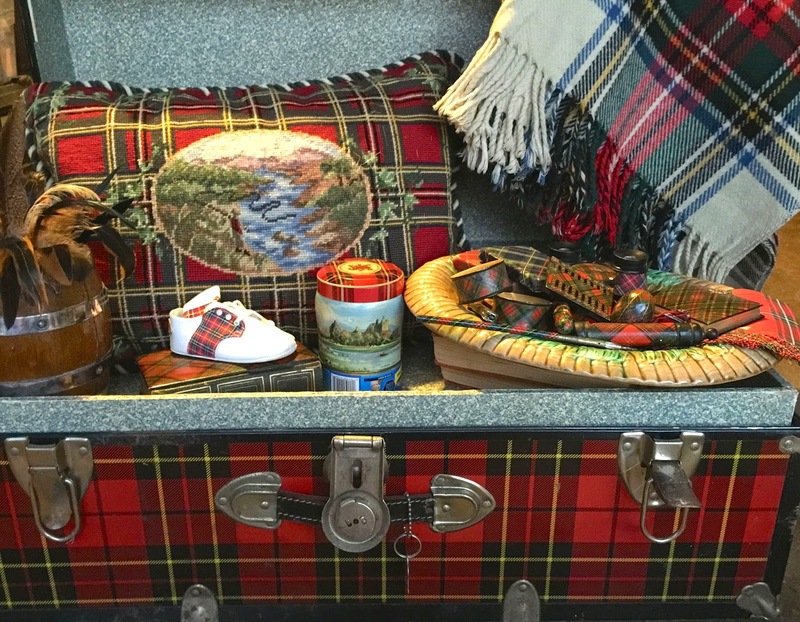 Crushing over that wonderful needlepoint pillow, and the tartan baby shoes are adorable. Did your babies wear these? Sarah - Thank you for asking me to post this pic on your album at www.hyacinthforthesoul.blogspot.com! Everyone's pics were great. I bought the baby shoes on Ebay. And I was thrilled to find the tartan camp trunk at an estate sale. Always on the hunt! Be still my tartan heart! This is gorgeous! !